Magnetic Digestive Cards are designed to illustrate the sequential chemical and biochemical breakdown of the major components of food as it passes through the human digestive tract. 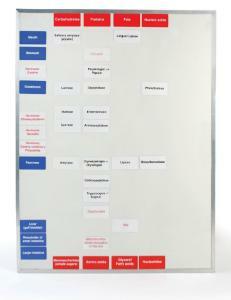 The visible components are magnetic and designed to stick to almost every black an white board used in schools today. 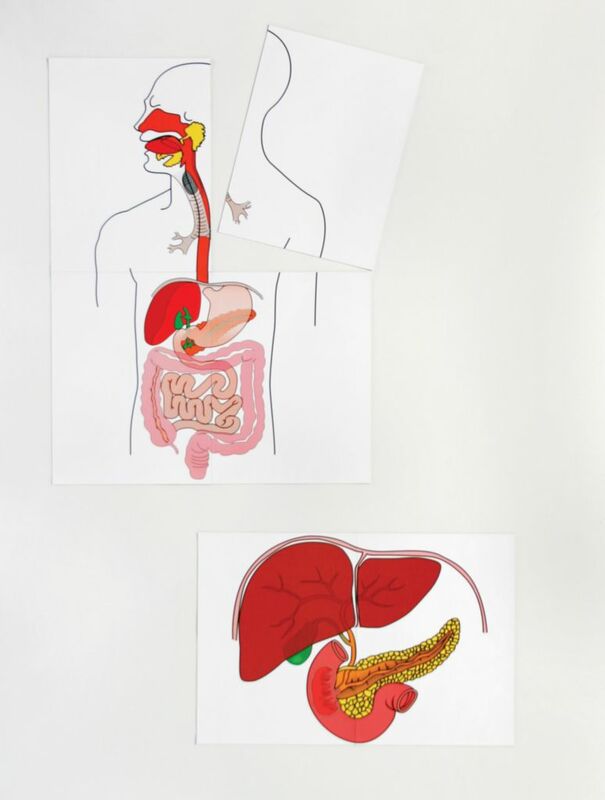 The kit consists of two large diagrams (a human digestive system diagram and a focus diagram that shows the connections between the stomach, liver, pancreas, and small intestine), 39 magnetic color coded cards, a teacher’s guide, and reproducible student work sheets. The cards indicate anatomical features, chemical digestive agents, digestive enzymes, and the hormones responsible for regulation of the process of digestion of carbohydrates, proteins, fats, and nucleic acids. They can be arranged in a variety of ways to clarify the digestive process taught in human physiology and nutrition classes. 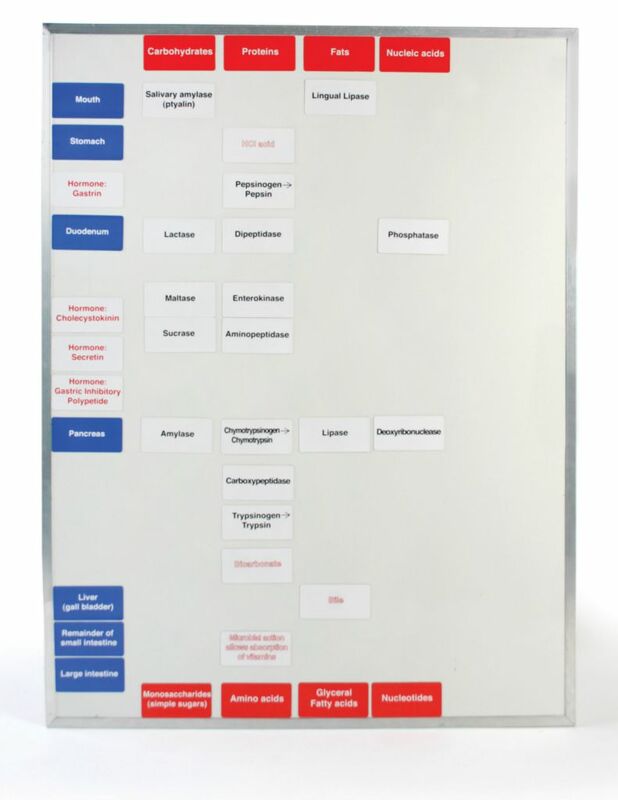 Ordering information: This kit includes 39 magnetic cards, a liver diagram, a digestion diagram, a teacher guide, and reproducible student work sheets.